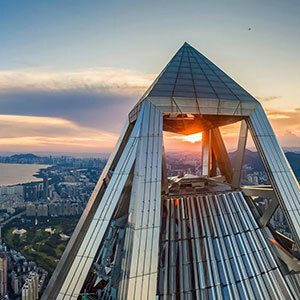 Suzhou – A landmark on the city’s skyline in both form and function, the mixed-use high-rise is recognized as the Tallest Building in Suzhou. 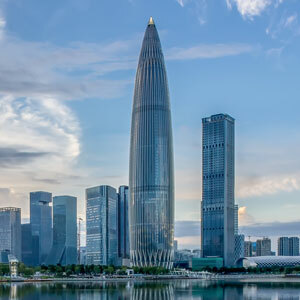 Featured Buildings Involving China Construction Steel Structure Corp. Ltd.
Guangzhou – Guangzhou CTF Finance Centre is a mixed-use tower located adjacent to a large central park and a subterranean retail concourse with transportation interchanges. 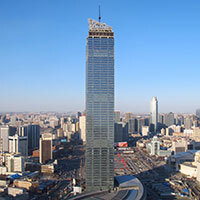 Beijing – Located in Beijing's Central Business District, the project team aim to use the latest in sustainable technology, materials and engineering concepts. 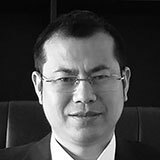 China Construction Steel Structure Corp. Ltd.
Buildings Involving China Construction Steel Structure Corp. Ltd. 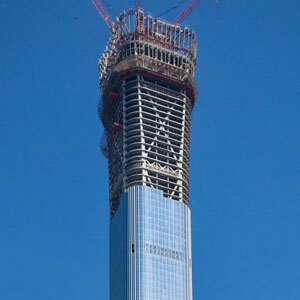 Located in the core Beijing central business district, the three towered structure has a central tower rising 250m high. 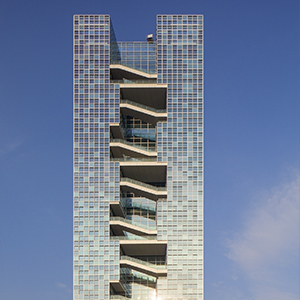 The recently completed new headquarters of China Central Television contains the entire television-making process within a single building. 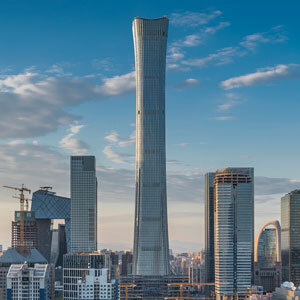 Located in Beijing's Central Business District, the project team aim to use the latest in sustainable technology, materials and engineering concepts. 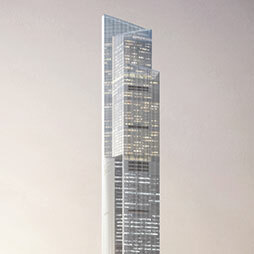 Guangzhou CTF Finance Centre is a mixed-use tower located adjacent to a large central park and a subterranean retail concourse with transportation interchanges. 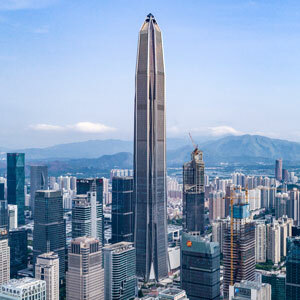 Guangzhou IFC is a landmark tower which defines the emerging international strength of China’s third city and serves as a landmark for Guangzhou Zhujiang New Town’s main axis. 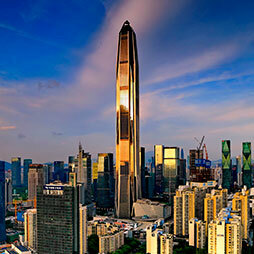 As part of the larger KK100 development, the new curved tower is a powerful addition to the Shenzhen skyline. 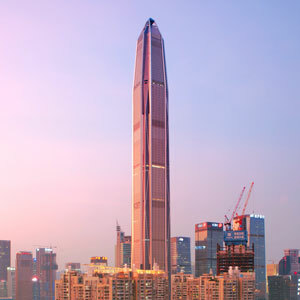 Ping An Finance Center is located in the city’s Futian District and represents a new generation of the prototypical Asian skyscraper: very tall, very dense, and hyper-connected. 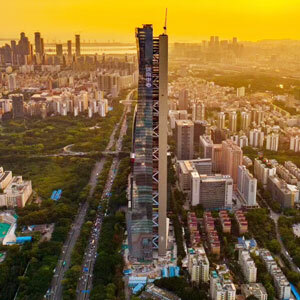 A landmark on the city’s skyline in both form and function, the mixed-use high-rise is recognized as the Tallest Building in Suzhou. About China Construction Steel Structure Corp. Ltd.
China Construction Steel Structure Corp. Ltd. (CSCEC Steel), the largest structural steel industry group in China, provides full support and services for their main structural steel engineering business including investment, construction and operation. 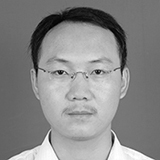 In China, CSCEC Steel has five regional locations with modern steel manufacturing bases for each. Abroad, their business areas spread into Hong Kong, Macao, South and Southeast Asia, the Middle East, North Africa, Australia, and the Americas. CSCEC Steel main business covers high-end construction and infrastructures with an extensive and varied portfolio such as high rise buildings, transportation stations and terminals, convention and exhibition centers, cultural facilities, towers and masts, industrial plants, roads & bridges, and electrical power works. 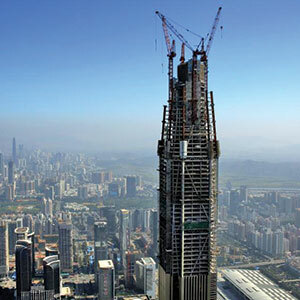 CTBUH Resources Involving China Construction Steel Structure Corp. Ltd.
150m+ Buildings 34 Completed • 7 Under Constr. 300m+ Buildings 16 Completed • 7 Under Constr. 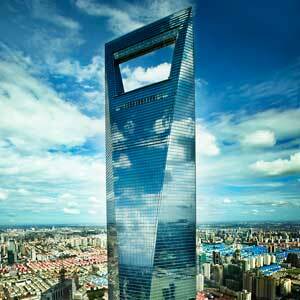 Tall Buildings Involving China Construction Steel Structure Corp. Ltd.